The education sector has witnessed a large influx of digital solutions in the past couple of years. 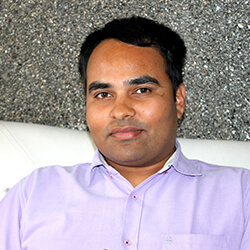 The rapid growth of technology innovations like augmented reality in education has created new spheres of operations for technology companies to create an impact in this sector. This has reshaped the common perception that education is one sector that has minimal affinity to be a forerunner in digital innovation. The penetration of smartphones and cheaper yet powerful internet services have led to the rise of online learning worldwide. In fact studies predict that the global e-learning market will be worth over USD 350 billion by 2025. Students are increasingly relying on self-learning portals that promotes augmented learning with AR to gain additional insights on their favorite subjects. Today, students can rely on AR apps for education specific purposes to explore deeper into subject matters that their teachers may find difficult to explain during normal classes. Just like in other advanced training and learning industries, the influx of affordable AR enabled devices like smartphones, increased patronage of students for groundbreaking tech and the digital disruption wave are combining to make the education sector look up at innovations like augmented reality with new possibilities. Like we mentioned earlier, more students in multiple educational sectors are increasingly focusing on self-learning initiatives to improve their skill set as well as gain practical knowledge. AR educational apps can play a huge role in delivering an enriched and interactive self-learning experience for such students. Several leading educational publishers are transforming themselves into EdTech companies that offer interactive AR guided learning materials to help students explore complex lessons at ease. With intuitive examples and demonstrations that pop up at the swipe of your fingers on a smartphone screen, students can uncover never before seen experiences in a traditional classroom environment. The best part is that all of this is possible from the comfort of your homes. By promoting augmented reality in education, it is not just the students who can reap the benefits, but also the teaching faculty. Sometimes even the most brilliant of teachers may face difficulty in explaining complex terminologies and concepts in a simple way to aspiring students. This is where AR enabled educational apps can prove to be a game changer. They can help teachers set up interactive sessions with quizzes, puzzles and other AR content to make lessons easier to understand and ultimately transform classrooms into a fun and interactive ecosystem that students would love to be a part of and contribute. Additionally, they can provide AR enabled worksheets for students to complete as part of assignments or periodic evaluation examinations as well. With AR educational apps it is possible to take experiences to the next level within a classroom. Fun facts or live demonstrations, visualized 3D models of objects, immersive video and audio experiences etc. could be provided to help students understand facts better and also help them retain it in their memory for longer duration. Augmented reality in the classroom can be a stimulus for both increasing awareness about topics taught and for providing a wider and deeper understanding of subjects. An example could be animated historical characters can dictate famous quotes said by them to help students get a firsthand demonstration of events and scenarios as they happened in history. We are not just exploring the benefits of augmented reality in schools but also learning materials that aid students to learn on their own from the comfort of their homes. Unlike Virtual Reality (VR), an AR experience does not require expensive devices like VR glasses to provide an immersive experience. All it takes is a smartphone and studies have shown that today nearly 73% of all teenagers own a smartphone . With a smartphone, students can gain access to an infinite array of AR studying materials that could be developed by leading educational publishers or schools and universities. Clubbing augmented reality and education will certainly pave way for more affordable yet intuitive learning experiences for students and prepare them better for real life scenarios where they need to apply their acquired knowledge. Imagine if scanning a textbook with your smartphone will bring up pop ups that display videos or detailed pictorial representation of facts depicted between the lines. Or the case where worksheets can serve live guidelines from teachers to help students complete assignments faster and with more efficiency. These are just few scenarios where AR educational apps can transform the traditional textbook learning experience for students of today. Rather than having separate index page or supporting pages within textbooks to help students find information easier, AR enabled search apps can help search text or information within textbooks and hence make learning from it faster. Besides geometrical shapes, biological specimens, mathematical and mechanical structures, concepts of science, etc. can all be brought into 3 dimensional or 4 dimensional views within the text book itself thanks to AR powered applications. No educational curriculum will be complete without laboratory sessions that help students get practical knowledge on how various concepts they study from their lessons are connected to real life scenarios. With the introduction of AR in education, laboratories too stand to benefit from its applications. Safer practical lessons can be demonstrated from within the classroom itself where real time reactions and observations could be replicated on smartphone apps that have AR capability. Even inside laboratories, several challenging concepts and scientific terminologies can be seamlessly demonstrated without the need to invest in heavy and expensive infrastructure as well as investments needed to keep the actual infrastructure free from dangers. Examples could range from simple laws of physics to complex anatomy sessions for students researching in the medical field. AR in education has a very bright future wherein quality knowledge sharing will be revolutionized beyond imagination. 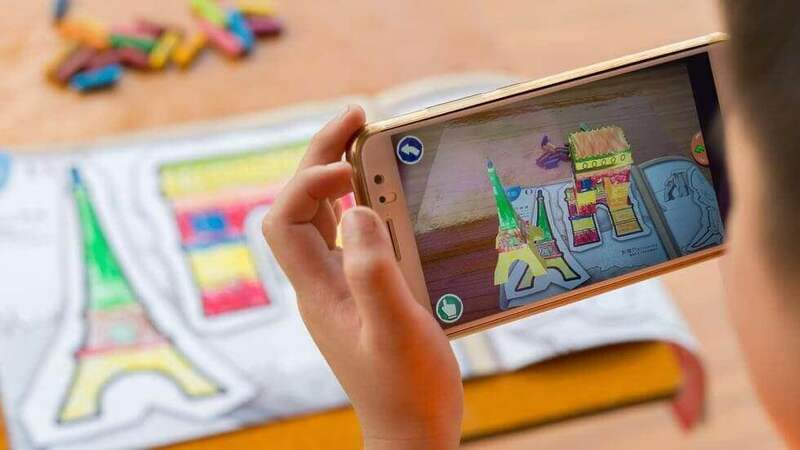 Thanks to the ability for AR educational apps to take learning experiences to newer heights, there will be newer forms of learning that will be adopted by the sector as a whole. 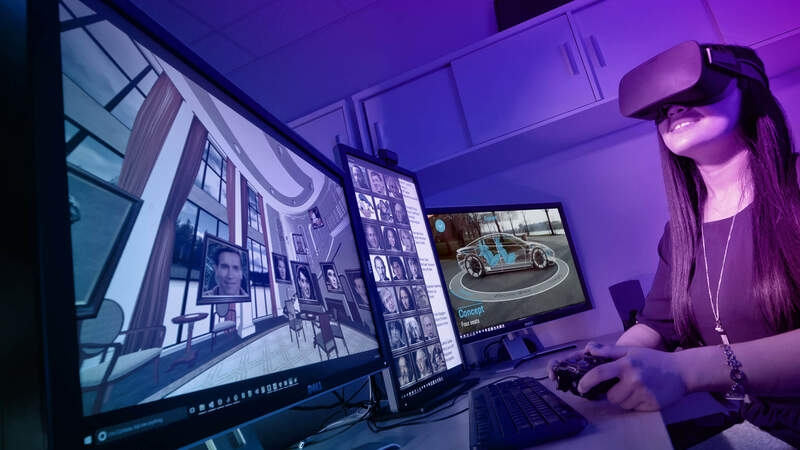 From students to faculty, the possibilities are limitless and several forerunners are already experimenting or well ahead in the 6 uses of AR that we covered in this blog. Moving forward, AR would combine with other revolutionary tech like VR, Artificial Intelligence (AI), Internet of Things (IoT), etc., to truly transform the education sector with immersive experiences. 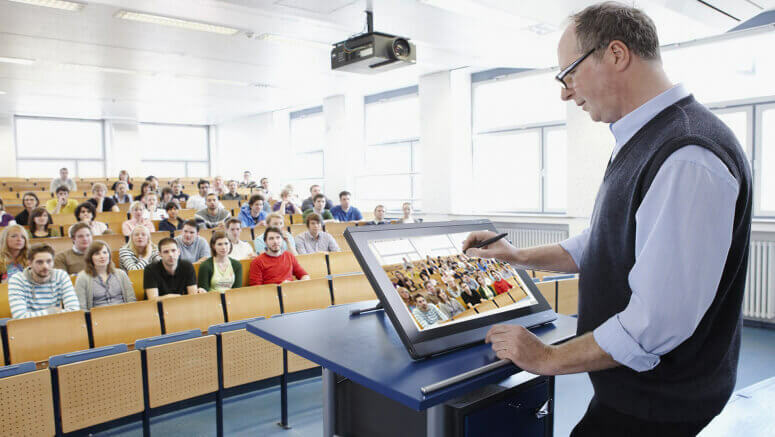 If you are looking to gain a cutting edge in the education sector ahead of competitors, then it is imperative that you start to explore these AR possibilities as well as other digital transformation trends that are set to revolutionize the education industry. All you need is a dedicated technology partner to build the most inspiring and technologically competent learning platforms to stay above the rest. Get in touch with us today to see how our technology services can bring about a huge change in your quest to achieve excellence in education.